Your next Honda is only a few clicks away. Check out these great offers and visit your Honda Dealer today. For all residents of the state of . 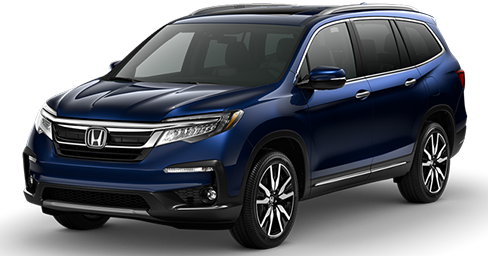 No payments for 90 days on any new and unregistered Honda model purchased, from March 18, 2019 through April 30, 2019. Offer only available through Honda Financial Services and participating . Offer does not apply to leases. Interest will accrue during the deferment. Tiers 1 through 8 are eligible for this program; however, each application is subject to Credit approval. See your Honda dealer for complete details. Offer Expires 04-30-2019. 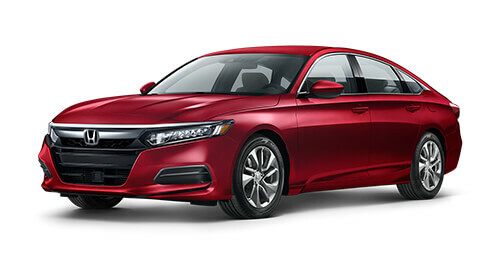 2.9% APR for 24-36 months or 3.9% APR for 37-60 months on new and unregistered 2019 Accord Gas Models, from April 2, 2019 through April 30, 2019, to well qualified buyers on approved credit by Honda Financial Services through participating dealers. Must take new retail delivery on vehicle from dealer stock by April 30, 2019. Not all buyers may qualify. Higher rates apply for buyers with lower credit ratings. Example: 2.9% for 36 months financing at $29.04 a month for every $1,000.00 financed. Dealers set actual prices. See your Honda dealer for details. Offer Expires 04-30-2019. $249.00 per month for 36 months. $3,199.00 total due at signing. Includes down payments with no security deposit. Excludes taxes, titles and dealer fees. 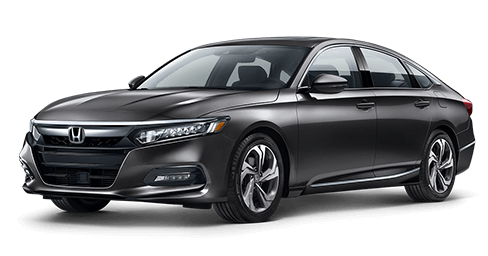 Closed end lease for 2019 Accord Sedan LX CVT (CV1F1KEW) available from April 2, 2019 through April 30, 2019, to well-qualified lessees approved by Honda Financial Services. Not all lessees will qualify. Higher lease rates apply for lessees with lower credit ratings. MSRP $24,640.00 (includes destination, excludes tax, license, title, registration, documentation fees, options, insurance and the like). Actual net capitalized cost $20,970.31. Net capitalized cost includes $595 acquisition fee. Dealer contribution may vary and could affect actual lease payment. Total monthly payments $8,964.00. Option to purchase at lease end $14,291.20. Must take new retail delivery on vehicle from dealer stock by April 30, 2019. Lessee responsible for maintenance, excessive wear/tear and 15¢/mile over 12,000 miles/year for vehicles with MSRP less than $30,000, and 20¢/mile over 12,000 miles/year for vehicles with MSRP of $30,000 or more. See your Honda dealer for complete details. Offer Expires 04-30-2019. 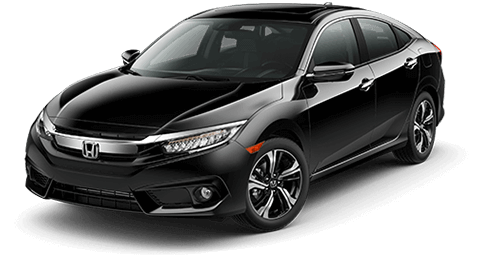 0.9% APR for 24-48 months or 1.9% APR for 49-60 months on new and unregistered 2019 Civic Models (excludes Type R), from April 19, 2019 through April 30, 2019, to well qualified buyers on approved credit by Honda Financial Services through participating dealers. Must take new retail delivery on vehicle from dealer stock by April 30, 2019. Not all buyers may qualify. Higher rates apply for buyers with lower credit ratings. Example: 0.9% for 48 months financing at $21.22 a month for every $1,000.00 financed. Dealers set actual prices. See your Honda dealer for details. Offer Expires 04-30-2019. 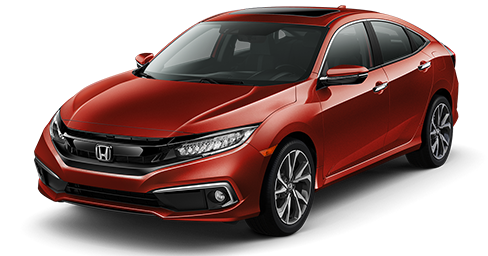 0.9% APR for 24-48 months or 1.9% APR for 49-60 months on new and unregistered 2018 Civic Models (excludes Type R), from April 19, 2019 through April 30, 2019, to well qualified buyers on approved credit by Honda Financial Services through participating dealers. Must take new retail delivery on vehicle from dealer stock by April 30, 2019. Not all buyers may qualify. Higher rates apply for buyers with lower credit ratings. Example: 0.9% for 48 months financing at $21.22 a month for every $1,000.00 financed. Dealers set actual prices. See your Honda dealer for details. Offer Expires 04-30-2019. $189.00 per month for 36 months. $2,999.00 total due at signing. Includes down payments with no security deposit. Excludes taxes, titles and dealer fees. 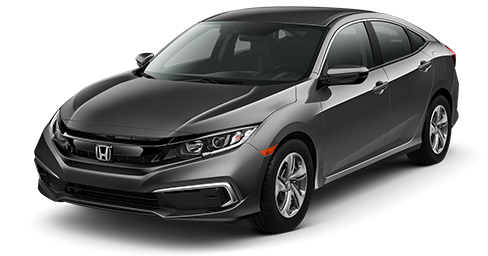 Closed end lease for 2019 Civic Sedan LX CVT (FC2F6KEW) available from April 2, 2019 through April 30, 2019, to well-qualified lessees approved by Honda Financial Services. Not all lessees will qualify. Higher lease rates apply for lessees with lower credit ratings. MSRP $21,170.00 (includes destination, excludes tax, license, title, registration, documentation fees, options, insurance and the like). Actual net capitalized cost $17,109.66. Net capitalized cost includes $595 acquisition fee. Dealer contribution may vary and could affect actual lease payment. Total monthly payments $6,804.00. Option to purchase at lease end $12,490.30. Must take new retail delivery on vehicle from dealer stock by April 30, 2019. Lessee responsible for maintenance, excessive wear/tear and 15¢/mile over 12,000 miles/year for vehicles with MSRP less than $30,000, and 20¢/mile over 12,000 miles/year for vehicles with MSRP of $30,000 or more. See your Honda dealer for complete details. Offer Expires 04-30-2019. $199.00 per month for 36 months. $2,999.00 total due at signing. Includes down payments with no security deposit. Excludes taxes, titles and dealer fees. 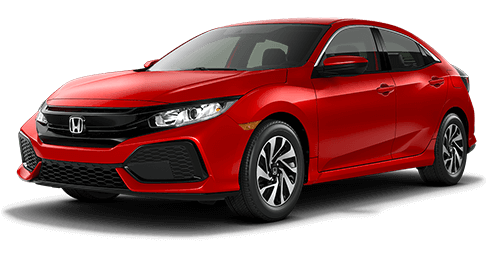 Closed end lease for 2019 Civic Hatchback LX CVT (FK7H3KEW) available from April 2, 2019 through April 30, 2019, to well-qualified lessees approved by Honda Financial Services. Not all lessees will qualify. Higher lease rates apply for lessees with lower credit ratings. MSRP $22,370.00 (includes destination, excludes tax, license, title, registration, documentation fees, options, insurance and the like). Actual net capitalized cost $18,055.77. Net capitalized cost includes $595 acquisition fee. Dealer contribution may vary and could affect actual lease payment. Total monthly payments $7,164.00. Option to purchase at lease end $13,198.30. Must take new retail delivery on vehicle from dealer stock by April 30, 2019. Lessee responsible for maintenance, excessive wear/tear and 15¢/mile over 12,000 miles/year for vehicles with MSRP less than $30,000, and 20¢/mile over 12,000 miles/year for vehicles with MSRP of $30,000 or more. See your Honda dealer for complete details. Offer Expires 04-30-2019. 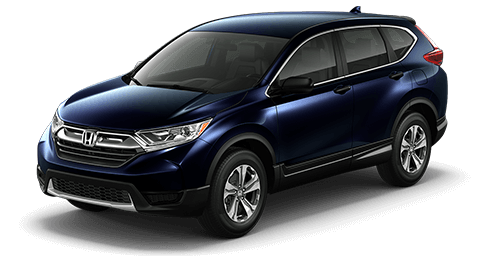 1.9% APR for 24-36 months or 2.9% APR for 37-60 months on new and unregistered 2019 CR-V Models, from April 2, 2019 through April 30, 2019,to well qualified buyers on approved credit by Honda Financial Services through participating dealers. Must take new retail delivery on vehicle from dealer stock by April 30, 2019. Not all buyers may qualify. Higher rates apply for buyers with lower credit ratings. Example: 1.9% for 36 months financing at $28.60 a month for every $1,000.00 financed. Dealers set actual prices. See your Honda dealer for details. Offer Expires 04-30-2019. $259.00 per month for 36 months. $2,599.00 total due at signing. Includes down payments with no security deposit. Excludes taxes, titles and dealer fees. 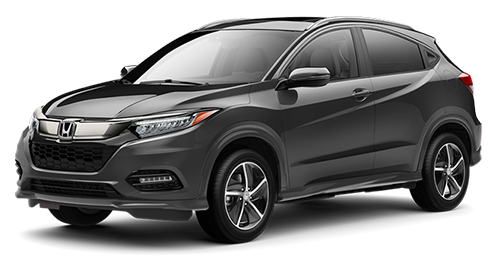 Closed end lease for 2019 CR-V AWD LX CVT (RW6H3KEW) available from April 2, 2019 through April 30, 2019, to well-qualified lessees approved by Honda Financial Services. Not all lessees will qualify. Higher lease rates apply for lessees with lower credit ratings. MSRP $26,795.00 (includes destination, excludes tax, license, title, registration, documentation fees, options, insurance and the like). Actual net capitalized cost $24,537.67. Net capitalized cost includes $595 acquisition fee. Dealer contribution may vary and could affect actual lease payment. Total monthly payments $9,324.00. Option to purchase at lease end $15,809.05. Must take new retail delivery on vehicle from dealer stock by April 30, 2019. Lessee responsible for maintenance, excessive wear/tear and 15¢/mile over 12,000 miles/year for vehicles with MSRP less than $30,000, and 20¢/mile over 12,000 miles/year for vehicles with MSRP of $30,000 or more. See your Honda dealer for complete details. Offer Expires 04-30-2019. $249.00 per month for 36 months. $2,399.00 total due at signing. Includes down payments with no security deposit. Excludes taxes, titles and dealer fees. Closed end lease for 2019 CR-V 2WD LX CVT (RW5H3KEW) available from April 2, 2019 through April 30, 2019, to well-qualified lessees approved by Honda Financial Services. Not all lessees will qualify. Higher lease rates apply for lessees with lower credit ratings. MSRP$25,395.00 (includes destination, excludes tax, license, title, registration, documentation fees, options, insurance and the like). Actual net capitalized cost $23,380.94. Net capitalized cost includes $595 acquisition fee. Dealer contribution may vary and could affect actual lease payment. Total monthly payments $8,964.00. Option to purchase at lease end $14,983.05. Must take new retail delivery on vehicle from dealer stock by April 30, 2019. Lessee responsible for maintenance, excessive wear/tear and 15¢/mile over 12,000 miles/year for vehicles with MSRP less than $30,000, and 20¢/mile over 12,000 miles/year for vehicles with MSRP of $30,000 or more. See your Honda dealer for complete details. Offer Expires 04-30-2019. 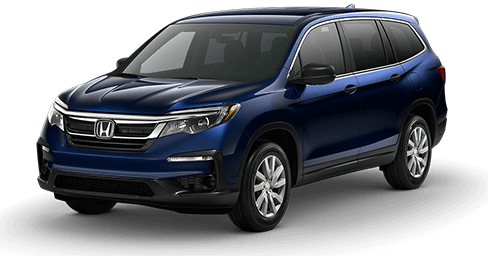 2.9% APR for 24-36 months or 3.9% APR for 37-60 months on new and unregistered 2019 Fit Models, from April 2, 2019 through April 30, 2019, to well qualified buyers on approved credit by Honda Financial Services through participating dealers. Must take new retail delivery on vehicle from dealer stock by April 30, 2019. Not all buyers may qualify. Higher rates apply for buyers with lower credit ratings. Example: 2.9% for 36 months financing at $29.04 a month for every $1,000.00 financed. Dealers set actual prices. See your Honda dealer for details. Offer Expires 04-30-2019. $179.00 per month for 36 months. $2,199.00 total due at signing. Includes down payments with no security deposit. Excludes taxes, titles and dealer fees. 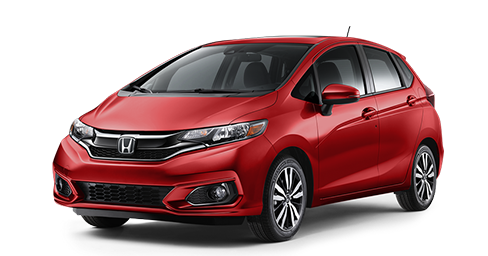 Closed end lease for 2019 Fit LX CVT (GK5H4KEW) available from April 2, 2019 through April 30, 2019, to well-qualified lessees approved by Honda Financial Services. Not all lessees will qualify. Higher lease rates apply for lessees with lower credit ratings. MSRP $17,910.00 (includes destination, excludes tax, license, title, registration, documentation fees, options, insurance and the like). Actual net capitalized cost $16,433.33. Net capitalized cost includes $595 acquisition fee. Dealer contribution may vary and could affect actual lease payment. Total monthly payments $6,444.00. Option to purchase at lease end $10,925.10. Must take new retail delivery on vehicle from dealer stock by April 30, 2019. Lessee responsible for maintenance, excessive wear/tear and 15¢/mile over 12,000 miles/year for vehicles with MSRP less than $30,000, and 20¢/mile over 12,000 miles/year for vehicles with MSRP of $30,000 or more. See your Honda dealer for complete details. Offer Expires 04-30-2019. 2.9% APR for 24-36 months or 3.9% APR for 37-60 months on new and unregistered 2019 HR-V Models, from April 2, 2019 through April 30, 2019, to well qualified buyers on approved credit by Honda Financial Services through participating dealers. Must take new retail delivery on vehicle from dealer stock by April 30, 2019. Not all buyers may qualify. Higher rates apply for buyers with lower credit ratings. Example: 2.9% for 36 months financing at $29.04 a month for every $1,000.00 financed. Dealers set actual prices. See your Honda dealer for details. Offer Expires 04-30-2019. $209.00 per month for 36 months. $3,099.00 total due at signing. Includes down payments with no security deposit. Excludes taxes, titles and dealer fees. 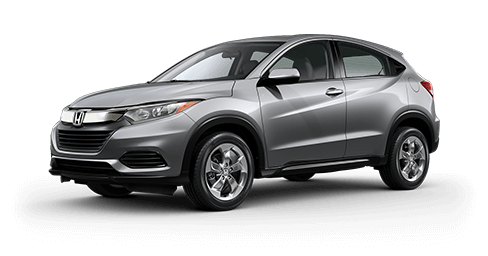 Closed end lease for 2019 HR-V AWD LX CVT (RU6H3KEW) available from April 2, 2019 through April 30, 2019, to well-qualified lessees approved by Honda Financial Services. Not all lessees will qualify. Higher lease rates apply for lessees with lower credit ratings. MSRP $22,965.00 (includes destination, excludes tax, license, title, registration, documentation fees, options, insurance and the like). Actual net capitalized cost $19,596.94. Net capitalized cost includes $595 acquisition fee. Dealer contribution may vary and could affect actual lease payment. Total monthly payments $7,524.00. Option to purchase at lease end $14,008.65. Must take new retail delivery on vehicle from dealer stock by April 30, 2019. Lessee responsible for maintenance, excessive wear/tear and 15¢/mile over 12,000 miles/year for vehicles with MSRP less than $30,000, and 20¢/mile over 12,000 miles/year for vehicles with MSRP of $30,000 or more. See your Honda dealer for complete details. Offer Expires 04-30-2019. $209.00 per month for 36 months. $2,399.00 total due at signing. Includes down payments with no security deposit. Excludes taxes, titles and dealer fees. 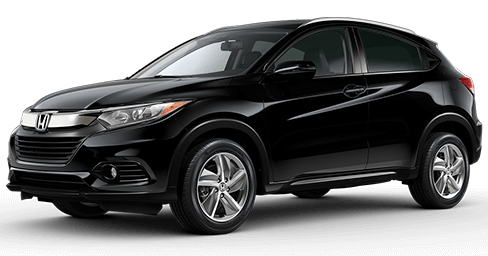 Closed end lease for 2019 HR-V 2WD LX CVT (RU5H3KEW) available from April 2, 2019 through April 30, 2019, to well-qualified lessees approved by Honda Financial Services. Not all lessees will qualify. Higher lease rates apply for lessees with lower credit ratings. MSRP $21,565.00 (includes destination, excludes tax, license, title, registration, documentation fees, options, insurance and the like). Actual net capitalized cost $18,835.71. Net capitalized cost includes $595 acquisition fee. Dealer contribution may vary and could affect actual lease payment. Total monthly payments $7,524.00. Option to purchase at lease end $13,154.65. Must take new retail delivery on vehicle from dealer stock by April 30, 2019. Lessee responsible for maintenance, excessive wear/tear and 15¢/mile over 12,000 miles/year for vehicles with MSRP less than $30,000, and 20¢/mile over 12,000 miles/year for vehicles with MSRP of $30,000 or more. See your Honda dealer for complete details. Offer Expires 04-30-2019. 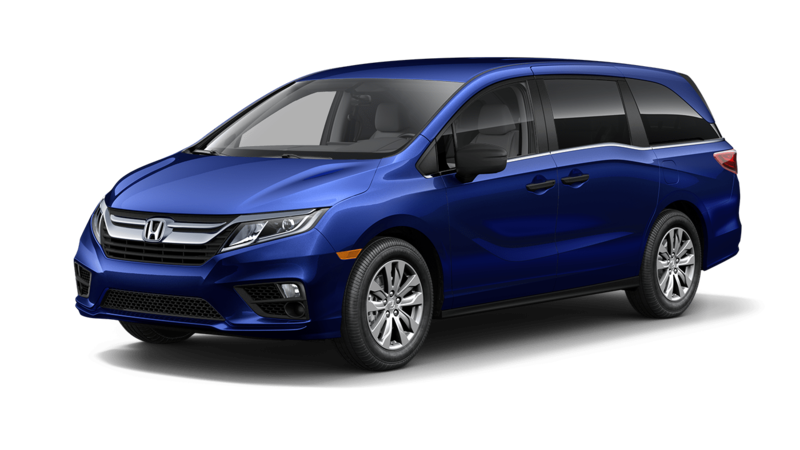 2.9% APR for 24-36 months or 3.9% APR for 37-60 months on new and unregistered 2019 Odyssey Models, from April 2, 2019 through April 30, 2019, to well qualified buyers on approved credit by Honda Financial Services through participating dealers. Must take new retail delivery on vehicle from dealer stock by April 30, 2019. Not all buyers may qualify. Higher rates apply for buyers with lower credit ratings. Example: 2.9% for 36 months financing at $29.04 a month for every $1,000.00 financed. Dealers set actual prices. See your Honda dealer for details. Offer Expires 04-30-2019. $359.00 per month for 36 months. $2,499.00 total due at signing. Includes down payments with no security deposit. Excludes taxes, titles and dealer fees. 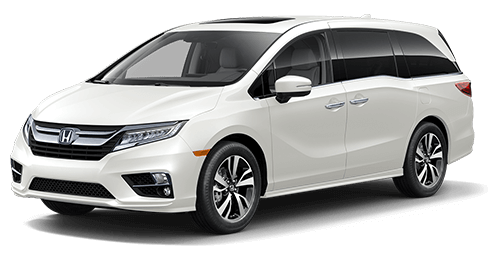 Closed end lease for 2019 Odyssey 9 Speed Automatic LX (RL6H2KEW) available from April 2, 2019 through April 30, 2019, to well-qualified lessees approved by Honda Financial Services. Not all lessees will qualify. Higher lease rates apply for lessees with lower credit ratings. MSRP $31,235.00 (includes destination, excludes tax, license, title, registration, documentation fees, options, insurance and the like). Actual net capitalized cost $28,132.62. Net capitalized cost includes $595 acquisition fee. Dealer contribution may vary and could affect actual lease payment. Total monthly payments $12,924.00. Option to purchase at lease end $17,491.60. Must take new retail delivery on vehicle from dealer stock by April 30, 2019. Lessee responsible for maintenance, excessive wear/tear and 15¢/mile over 12,000 miles/year for vehicles with MSRP less than $30,000, and 20¢/mile over 12,000 miles/year for vehicles with MSRP of $30,000 or more. See your Honda dealer for complete details. Offer Expires 04-30-2019. 0.9% APR for 24-36 months or 1.9% APR for 37-60 months on new and unregistered 2019 Pilot Models, from April 2, 2019 through April 30, 2019, to well qualified buyers on approved credit by Honda Financial Services through participating dealers. Must take new retail delivery on vehicle from dealer stock by April 30, 2019. Not all buyers may qualify. Higher rates apply for buyers with lower credit ratings. Example: 0.9% for 36 months financing at $28.16 a month for every $1,000.00 financed. Dealers set actual prices. See your Honda dealer for details. Offer Expires 04-30-2019. $329.00 per month for 36 months. $2,999.00 total due at signing. Includes down payments with no security deposit. Excludes taxes, titles and dealer fees. 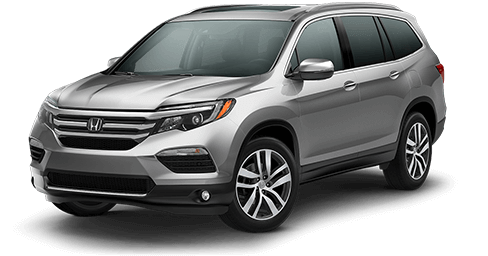 Closed end lease for 2019 Pilot AWD LX (YF6H1KEW) available from April 2, 2019 through April 30, 2019, to well-qualified lessees approved by Honda Financial Services. Not all lessees will qualify. Higher lease rates apply for lessees with lower credit ratings. MSRP $34,395.00 (includes destination, excludes tax, license, title, registration, documentation fees, options, insurance and the like). Actual net capitalized cost $29,063.07. Net capitalized cost includes $595 acquisition fee. Dealer contribution may vary and could affect actual lease payment. Total monthly payments $11,844.00. Option to purchase at lease end $20,293.05. Must take new retail delivery on vehicle from dealer stock by April 30, 2019. Lessee responsible for maintenance, excessive wear/tear and 15¢/mile over 12,000 miles/year for vehicles with MSRP less than $30,000, and 20¢/mile over 12,000 miles/year for vehicles with MSRP of $30,000 or more. See your Honda dealer for complete details. Offer Expires 04-30-2019. $299.00 per month for 36 months. $2,999.00 total due at signing. Includes down payments with no security deposit. Excludes taxes, titles and dealer fees. 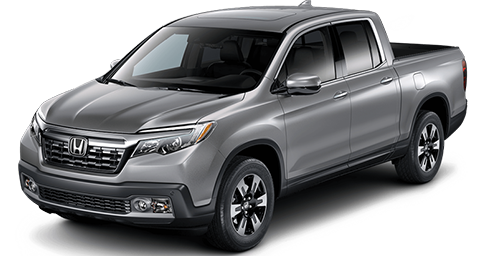 Closed end lease for 2019 Pilot 2WD LX (YF5H1KEW) available from April 2, 2019 through April 30, 2019, to well-qualified lessees approved by Honda Financial Services. Not all lessees will qualify. Higher lease rates apply for lessees with lower credit ratings. MSRP $32,495.00 (includes destination, excludes tax, license, title, registration, documentation fees, options, insurance and the like). Actual net capitalized cost $27,056.60. Net capitalized cost includes $595 acquisition fee. Dealer contribution may vary and could affect actual lease payment. Total monthly payments $10,764.00. Option to purchase at lease end $19,172.05. Must take new retail delivery on vehicle from dealer stock by April 30, 2019. Lessee responsible for maintenance, excessive wear/tear and 15¢/mile over 12,000 miles/year for vehicles with MSRP less than $30,000, and 20¢/mile over 12,000 miles/year for vehicles with MSRP of $30,000 or more. See your Honda dealer for complete details. Offer Expires 04-30-2019. 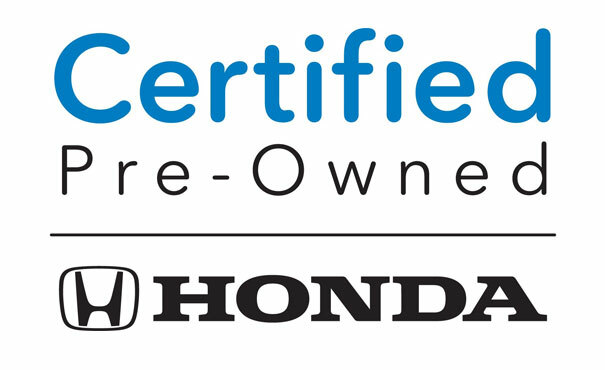 2.49% APR for 24- 60 months on all 2014-2019 Honda Certified Pre-Owned Civic vehicles through May 31, 2019, to well qualified buyers on approved credit by Honda Financial Services through participating dealers. Must take retail delivery on vehicle from dealer stock by May 31, 2019. Not all buyers may qualify. Higher rates apply for buyers with lower credit ratings. Example: 2.49% for 60 months financing at $17.74 a month for every $1,000.00 financed. Dealers set actual prices. Actual down payment may vary. 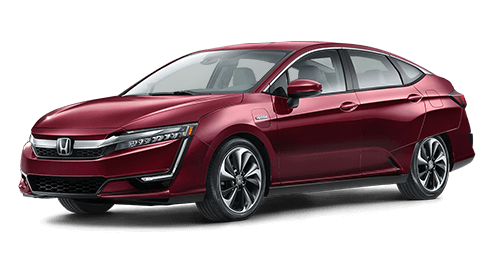 See your Honda dealer for detail Offer Expires 04-30-2019.